Oh, can you see my excitement when I spotted this gorgeous print for sale here. Now, beyond the fact that I love lemonade on it's own, look at these lovely concoctions that you can brew up right at home! Ideas that makes your lemonade just one step fancier and perfect for our patio / deck season. I know we'll be serving some of these bad boys up at our next gathering. Also, don't you think this print would be perfect for a sunny bright breakfast nook or hanging over a bar cart? 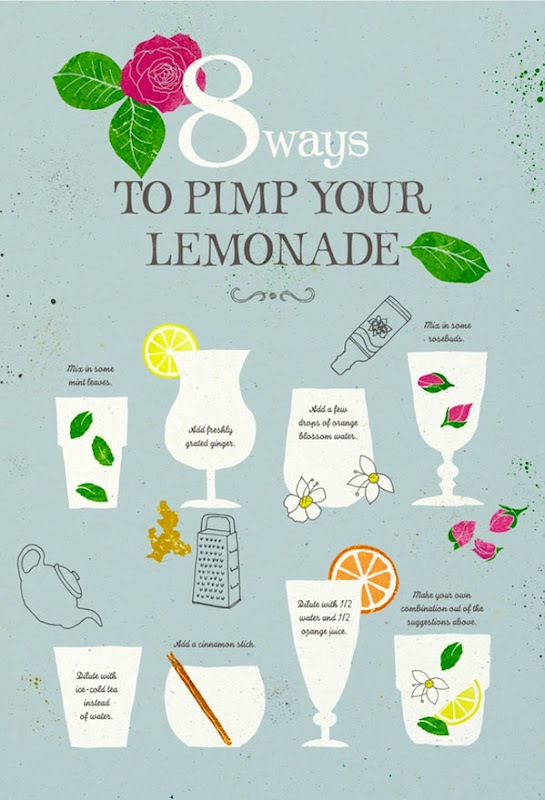 Now, go out and pimp some lemonade!